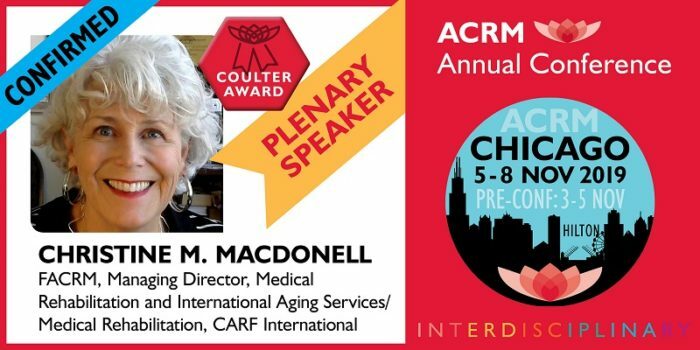 ACRM is pleased to honor Christine M. MacDonell, FACRM, with the 2019 John Stanley Coulter Award. 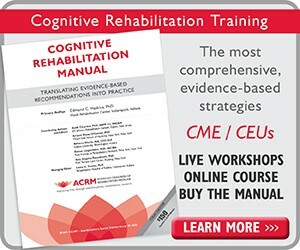 Chris will present the award plenary, An Around the World Perspective: Moving the Needle on Rehabilitation Medicine and Research during the ACRM 2019 Annual Conference in Chicago. Chris began her varied career in the health care industry as an occupational therapist after graduating from the University of Southern California. While still in California, she became an administrator of a full continuum of care. Chris came to CARF in 1991. She has served as the Managing Director of Medical Rehabilitation and Aging Services during her time with CARF. 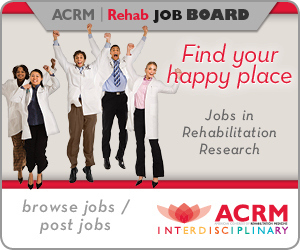 Chris is a Fellow of the American Congress of Rehabilitation Medicine. Chris has represented CARF International at international, national, regional and local meetings to promote and interpret standards and the use of accreditation as a quality business and clinical strategy throughout the continuum of care. She is part of the medical rehabilitation team responsible for the training of CARF surveyors and also the development and revision of CARF standards. To be named the Coulter Lecturer is to be recognized as one whose professional achievements have contributed significantly to the field of rehabilitation, as did Dr. John Stanley Coulter. After his death on December 16, 1949, the Board of Governors of the American Congress of Physical Medicine, as the ACRM was named at that time, established a fund to provide for a series of Coulter Lectures “as an expression of devotion to their departed colleague and leader.” Since 1951, the John Stanley Coulter Lecture has been a highlight of every annual meeting of the ACRM. Serving in the US Army from 1911 to 1920, Dr. Coulter was sent to France during the first World War, where he took charge of the first overseas convalescent and rehabilitation center. There he first became associated with physical and occupational therapy. He was assistant editor of the Archives of Physical Medicine and Acta Americana, contributing more than 50 articles on physical medicine and rehabilitation for medical journals. Dr. Coulter specialized in PM&R and introduced the practice of PT and OT in the treatment of industrial workers disabled by accidents and disease. He helped to establish the AMA Council on Physical Medicine and Rehabilitation and was its chairman from 1942 to 1949. Always striving to improve the training of physical therapy technicians, he was instrumental in forming the American Registry of Physical Therapy Technicians. 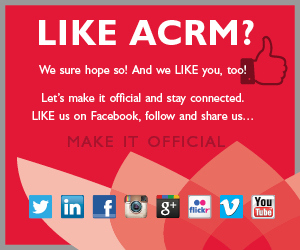 The ACRM Program Committee nominates candidates for the John Stanley Coulter Award. 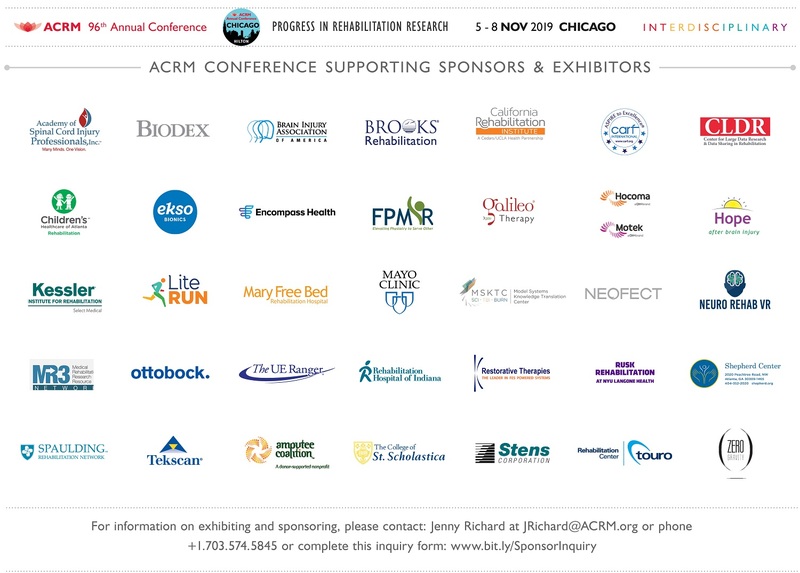 Award recipients present the prestigious John Stanley Coulter Lecture during the ACRM Annual Conference, Progress in Rehabilitation Research. Disparities of Cardiometabolic Risk Assessment and Intervention After SCI: At the Fork in the Road? 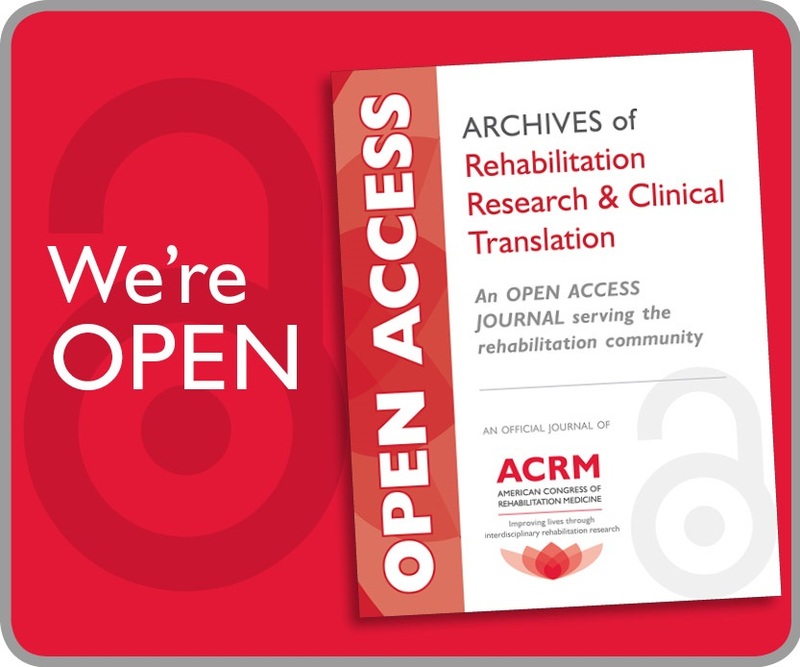 The State of Rehabilitation Research: Art or Science?